You dream to discover the thrill of glacier skiing, on the most beautiful untracked slopes bathed in breathtaking scenery ? Our guides will have the pleasure to guide you down the mythical descent of “Gébroulaz” glacier, the “Vallée Blanche” of Vanoise ! This is a MUST in the 3 Vallées, and one of the longest off piste routes in Europe: 19km of free skiing without any lifts ! Please note that ONLY IFMGA fully certifed Mountain Guides are qualified to ski with you on glaciers. So join us the thrill of a lifetime ! The Gébroulaz glacier is to Vanoise what the Vallée Blanche is to Chamonix : a wonderful place to discover glacier skiing ! 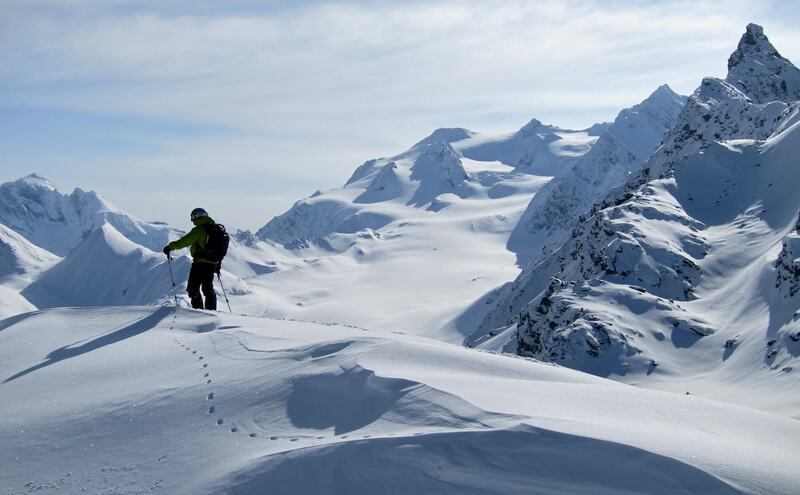 A magical ski experience, on soft untracked slopes, in the middle of an incredible landscape ! From Méribel, we’ll take the ski lifts to reach the top of Val Thorens. We will then skin up to the Gébroulaz pass high up at over 3400m of elevation, where a well deserved break will preceed a highly enjoyable glacier descent into the wild. For easy slope lovers, we will glide through great landscapes towards the Tueda lake in Méribel Mottaret, in the heart of the Tueda Natural Park. For the more athletic it’s possible to go down on the Glacier and skin back up to the Glacier du Borgne. From there we’ll ski back down to Méribel Mottaret. The nicest option, the “guide’s favorite”, is to join the typical village of Pralognan. This route is the most exceptional for its marvellous landscapes and slopes. A taxi will take us back to the 3 Valleys, a day you will never forget ! Required ski level: advanced to expert off piste skier, off-piste skiing experience is required.